I love Chinese takeout. And sweet and sour chicken is one of my favourites. Today I worked longer than I usually do, and didn’t get around to even thinking about food tonight until about 6:00 p.m. So that didn’t leave me very much time to cook, clean up, and start the nighttime process with the little person. I opened the fridge tonight and saw two pounds of chicken and thought to myself…what the hell am I going to do with that? And what do I have on hand? I have no idea why, but I thought…sweet and sour chicken! I used to have a recipe where you’d bake it, but that particular recipe took an hour to make. I didn’t have that kind of time – so that was out. Instead, I whipped up with this little gem. It’s more on the sweet side than the sour side. But, it is sweet and sour chicken. Be sure to taste your sauce before you mix it in with the chicken. You can always play around with measurements. That’s the fun of cooking. I served it up with a little steamed broccoli and long grain rice. Yummy! This recipe is pretty kid friendly too. I mean, it has two ingredients that all kids love – sugar and ketchup. My 5 1/2 year old didn’t eat it. HOWEVER, he confessed when I was putting him to bed tonight that he didn’t eat the chicken after he “tried it” because he wanted a peanut butter and jelly sandwich for dinner. And he knew we’d make him a PB & J if he “tried it” and didn’t like it. Little stinker. He won’t eat chicken smothered in sugar and ketchup. But he told me tonight that he wants me to order 10 more boxes of bacon and cheese crickets because he loves them. Boys. 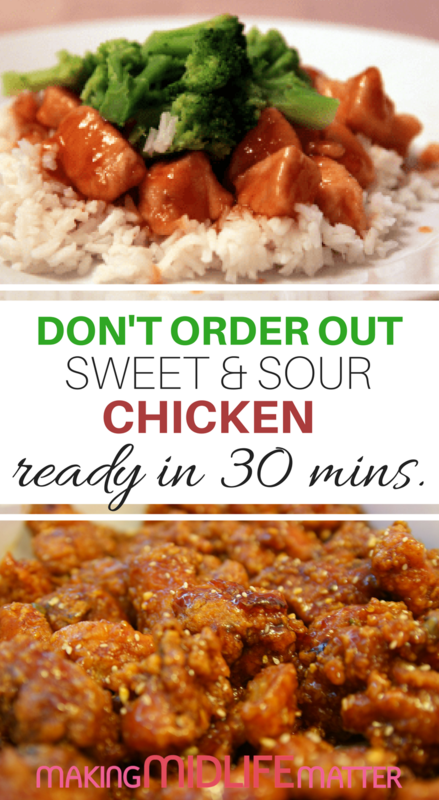 Kid-friendly, Sweet & Sour Chicken Recipe that everyone will love. So fast and easy to make. 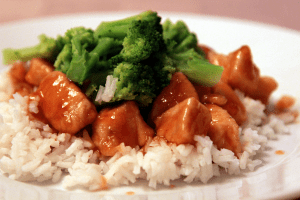 Add rice & broccoli for authentic Chinese take-out taste! Put sugar, vinegar, ketchup, soy sauce, 1 tbsp. corn starch, onion powder, garlic salt and red pepper flakes in a bowl. Combine with a whisk. Pour the mixture in a medium sauce pan and bring up to a low simmer while you prepare the chicken. Dice the chicken and put it in a plastic Ziploc bag. You want the dice to be no thicker than 1/2 inch thick. Put the 1/3 c. of corn starch in the bag and shake it up like Shake n Bake. Did I just reveal my age there with that comment? You shouldn't have much excess corn starch in the bag. But if you do, that's okay because it will help thicken up the sauce. Heat up the canola oil in a large frying pan. It needs to be really hot, but not smoking hot. While the pan is heating up, check your sauce. It should start getting thick. Keep an eye on it. Add the chicken to the hot pan and don't touch it until it starts to brown a bit on the bottom. When you see the edges start to turn white, flip over the pieces of chicken. When the chicken is ALMOST cooked all of the way through, turn it down to low and dump the sauce into the large skillet with the chicken. The chicken will finish cooking in the sauce. The sauce should be thick by now. But if it isn't, and the chicken is cooked through, pull the chicken out and cook down the sauce to the consistency you like. Easy. This recipe was adapted from Crème de la Crumb and first appeared on Yummy Lil' Things. Tanya is a food and lifestyle blogger living in Charleston, South Carolina, and founder of Yummy Lil’ Things. 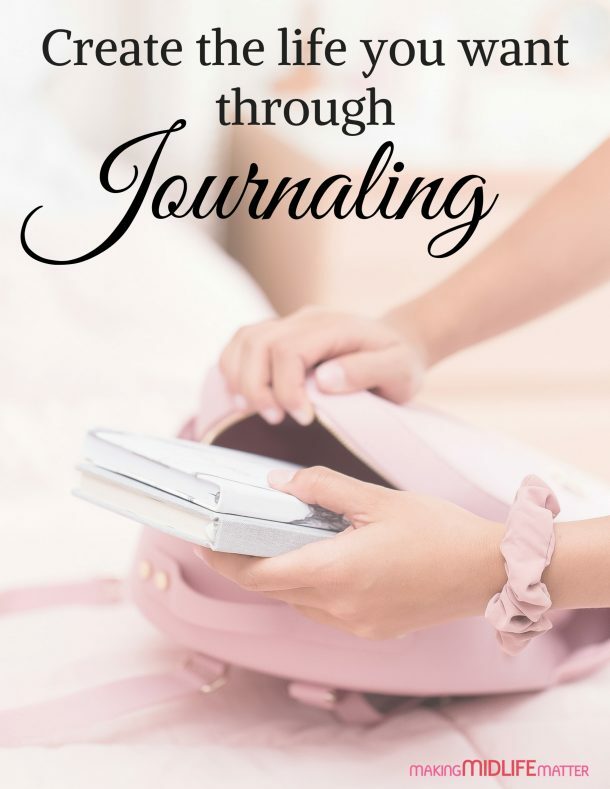 Her passion is creating and sharing recipes that actually taste good, discovering helpful tips and products that make life easier and sharing her experiences about Charleston and other cities in the U.S. She admittedly has attention deficit disorder when it comes to hobbies, and is an eternal optimist who is convinced she’s going to win the Power Ball someday.